For some of those living on the west side of the Cascade Mountains, the tendency is to envision Eastern Oregon as a dry, flat, dusty expanse. A place where the seasons are harsh and the living is harsher; far removed from the lush growing region of the Willamette Valley. And sure, in much the same way that you can find mud on one side of Mt. Hood, you can find dust on the other. But the Northeast corner of the state is a dramatic landscape of imposing mountain ranges interlaced by fertile valleys. A sweet spot where Mother Nature’s epic grandeur is offset by smaller communities utilizing this bountiful region to its fullest. The communities of Cove and Union reside in the Grande Ronde Valley, tucked between the alpine peaks of the Wallowas and the rolling, forested Blue Mountains. There are few settings in the Northwest as bucolic as this. The Cove-Union Farm Loop is a self-guided tour that showcases the best of this abundant valley and what the people that call it home have been doing with it since the mid-1800s. Here’s just a sampling of what you can discover along the 55-mile route. Unless the ‘open’ sign is displayed, be sure to call before you visit the farms and ranches. 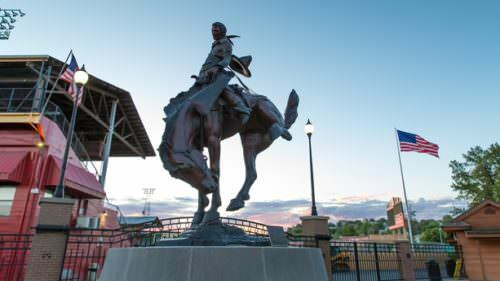 The Victorian-era town of Union somehow also blends character and influence from the old west, as well as mid-20th Century Americana. Any exploration of the historic Main Street will help paint a more vivid picture. 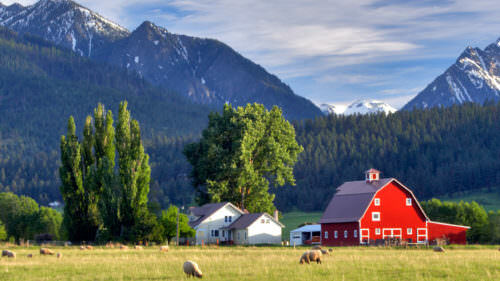 However, flanking the town on all sides are farms, dairies, and ranches that offer everything from top-tier produce and grass-fed beef to worm tea. Goats are almost undeniably cute, if not a bit precocious. 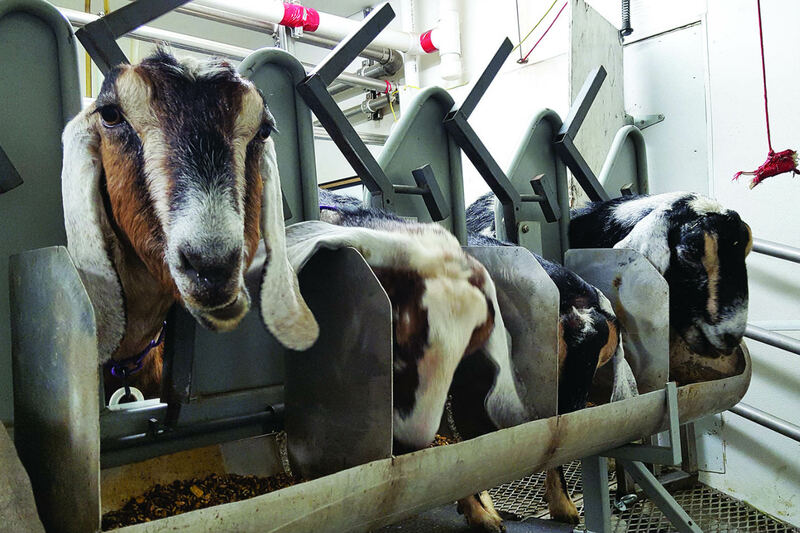 But a stop at the Grande Ronde Goat Dairy is more about gaining knowledge about the ins and outs of a real production dairy than a petting zoo stop. Similarly, the folks at Beyond Organic Beef show how knowing where your food comes from and ecologically sound practices can help strengthen the local economy as well as produce some of the finest beef available. Continue the learning process with a visit to the Wred Wriggler Worm Wranch. The hobby farm utilizes red wiggler worms for composting, soil enhancement, and the production of worm tea – a nutrient-rich liquid that’s black gold for any garden. 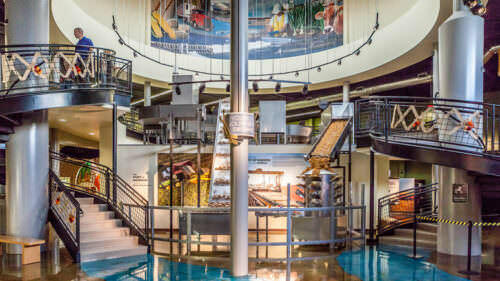 Satiate your thirst for history and culture by paying the Union County Museum on Main Street a visit. Unassuming from the outside, the museum is expansive in physical size as well as intriguing content. It’s a must-see for those wanting a fuller understanding of the area. 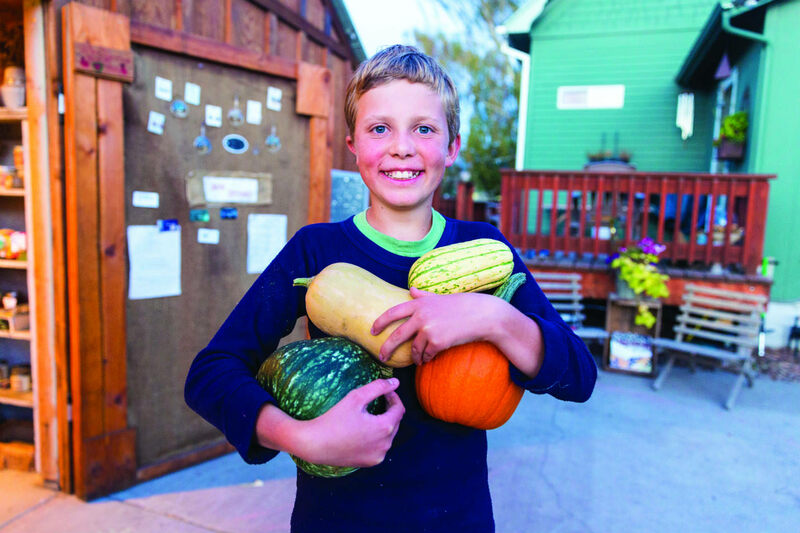 With constantly rotating seasonal produce, u-pick options, and a selection of locally made gifts and art, the Platz Family Farm exemplifies any idyllic notion you might have of a country farm stand. And the Platz family is as endearing as they are hard-working. With over 500 acres of orchards and roughly the same number of inhabitants, the hamlet of Cove exemplifies agricultural bang for the buck. You’ll find apples, prunes, and berries aplenty. But it’s cherries that rule the roost in Cove. Make your way there on the 3rd Saturday in August for the Cherry Fair if you need tangible, tasty proof. On your way into Cove, history buffs will want to check out the Hendershott Home. In addition to being an architectural highlight of the loop, the neo-gothic structure has some historic tales to tell. Sure, you could sample produce from Nella Mae’s Farm at the La Grande Farmers Market or even one of the local restaurants. Or you could swing by the farm stand on your way out of Cove for an experience that is quintessentially Eastern Oregon. The cozy, but well-stocked honor system stand is self- serve and open from March – October, 24/7. Just bring cash or check for the payment box. Check the driveway to the greenhouse just up the road; if the gate is open, you are welcome to visit. The alluring 3-acre Cove Cherry Farm grows a number of iconic Northwest crops including apples, hops, blackberries, filberts, and of course, delicious Rainier cherries. Right around the corner, swing by Cove Honey. Not only can you bring home beeswax candles, but anywhere between a jar to a half gallon of honey. While the towns of Cove and Union account for many of the numbered destinations, there is far more to the loop than those two main areas. The stops between Cove, Island City, and Hot Lake round out the experience with the opportunity to visit hardware, farm supply, mercantile, and butcher shops. The scenic stretches in between the corn mazes and u-pick farms only add to the loop’s cumulative charm. The winding country roads make it ideal for exploration on a bicycle, as well, and portions are included in the Grande Tour Scenic Bikeway. If you’re beginning the loop from La Grande, you might consider kicking things off with a stop at Kauffman’s Market in Island City. The unique farmstand/deli/market is the perfect place to gather whatever provisions you’ll need for the day. If you find yourself between Island City and Hot Lake on a Thursday afternoon, you’ll definitely want to take in the action of a live livestock auction at Intermountain Livestock Sales. Grab a delicious burger in the café and rub elbows with cattlemen and women from across the region. The Cove-Union Farm Loop includes a mixture of scenic vistas, places open to visitors, and farms and ranches that ask you to call ahead to order farm fresh eggs, produce or pork. And if you’re coming through in October, don’t miss the corn maze and huge selection of pumpkins at the Pick N Patch. Then pop into the Sister Chic’s annual farmstand and gift shop, where you can check out a litany of jarred goodies, farm “junk” and produce.